​ Like modern skyscrapers, all eukaryotic cells are built on a special type of “steel girders” called the actin cytoskeleton. This structure not only supports cell shape, but also participates in numerous signaling pathways to drive cell movement, cell-cell communication, cell division and fusion, as well as nutrient transport (i.e. endocytosis). ​ During these processes, the actin cytoskeleton undergoes structural rearrangements guided by many signaling molecules at membranes. Mistakes in these signaling events often lead to disease, including cancer and developmental defects. Our lab has a long-term interest in understanding the fundamental mechanisms by which signals initiated as membranes are faithfully transduced to control the rearrangement of the actin cytoskeleton and how the signaling, if dysregulated, leads to disease, in both animals and plants. ​​ Our current research is focused on biochemical and structural studies of how membrane molecules signal to the actin cytoskeleton through a large, five-protein complex named the WAVE Regulatory Complex (WRC). The WRC is a key signaling hub between membranes and the actin cytoskeleton throughout the cell. Various membrane molecules directly interact with and/or activate the WRC, which in turn stimulate the Arp2/3 complex to polymerize actin. 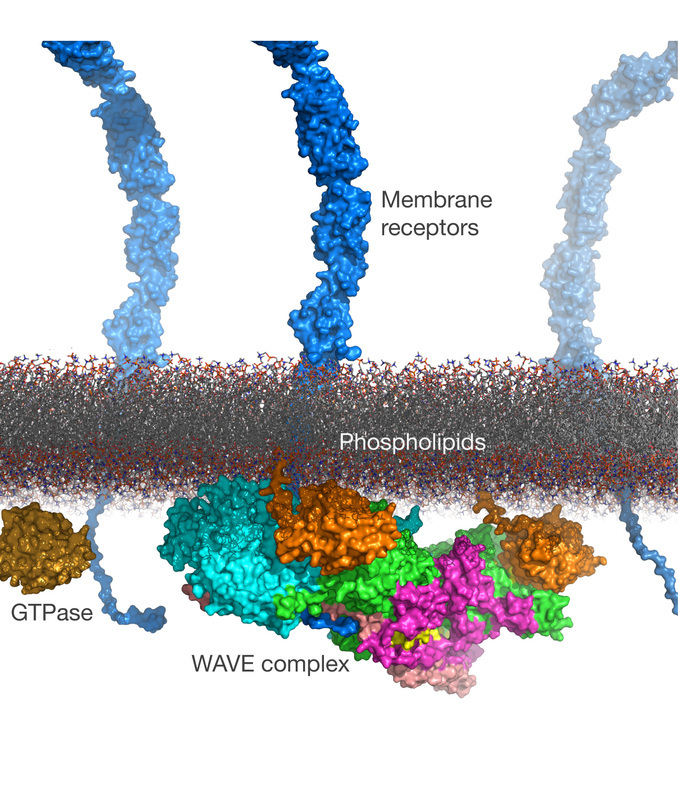 These include distinct GTPases, the acidic phospholipids, and a large variety of membrane receptors, ion channels, GPCRs and scaffolding proteins. In addition, our lab is continuing to identify new membrane ligands that interact with the WRC using novel mechanisms. We combine biochemical, biophysical and structural biology approaches, and collaborate with cell biologists, geneticists and computational biologists to understand how the WRC integrates such a diverse array of signals to ensure faithful signaling from membranes to actin. Please come and join our adventures! Roy J. Carver Department of Biochemistry, Biophysics & Molecular Biology, Iowa State University, Ames, Iowa, 50014.